Without the daily prescribed medication: I would lose my ability to think rationally, and my attention span would dwindle to nothing, my body would creep into overdrive. 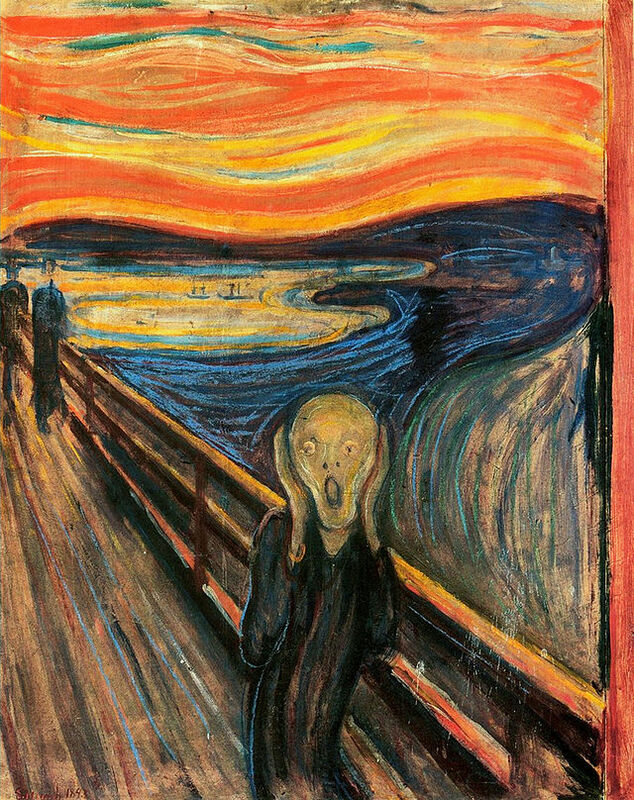 I could feel this at the end of a work day as the medicine wore off and it scared me every day. Without the medication I could become more and more manic, eventually I would have to be hospitalize or worse… risk being incarcerated in prison. The daily medication was very expensive. without them, I was a risk to myself or (mildly)to society. So I had to work a full time job to pay for the medication. I had to pay for and take the medication to work the full time job and remain part of society. No medication or no work meant catastrophe. Anytime with the medication, meant dealing with side effects, or the meds could stop working. Miss time at work and I could lose my job. Life was a daily cycle of fending off catastrophe. A truth blunted with humor. The message was clear. The message , clearly and poetically stated from a war veteran (Dad) ,who came home to raise a family while he worked (some times two jobs ) and finished college. I had a new life-long responsibility. I was responsible for managing my health (the best I could). I was learning to be responsible to my self, family and community by doing what it to takes to manage my circumstances… Just like any other responsibility. I would do my best to repay those who helped me in those difficult days… especially my parents. My father passed away recently and I am reminded of his wisdom on being responsible. 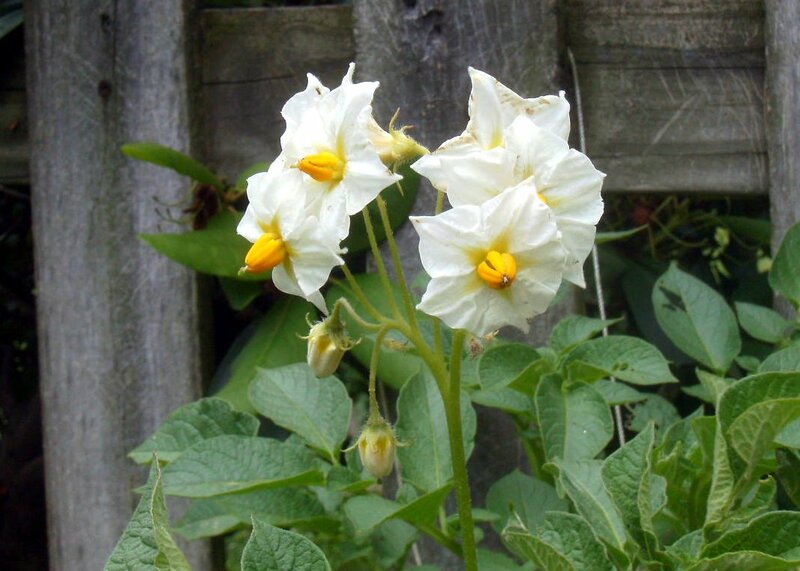 He also encouraged me to plant a potato just for fun (the photo above). It just bloomed recently. Mood and Emotions chart in now in Doc and Odt format . 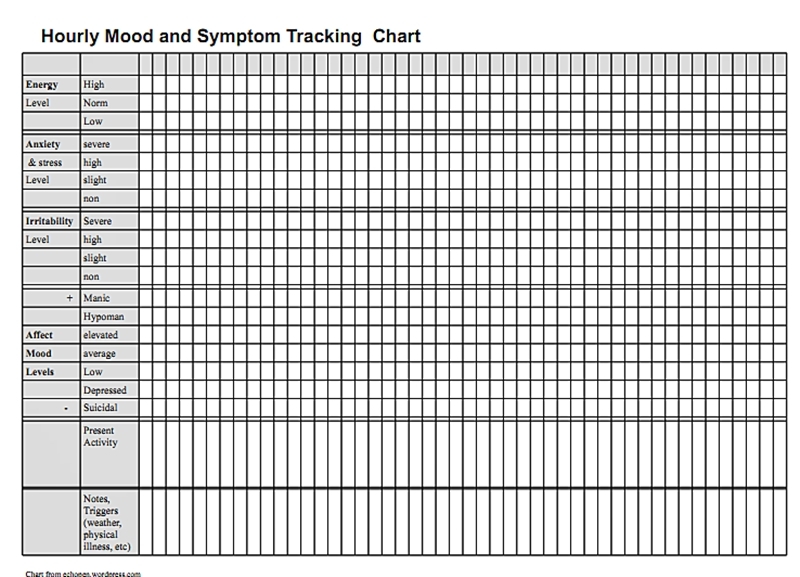 A Mood Chart is a simple tool that people diagnosed with Mood Disorders such as Bipolar Disorder, Major Depression, Borderline Personality Disorder, and Schizo affective disorder use from time to time, for tracking their symptoms and Affect mood level. 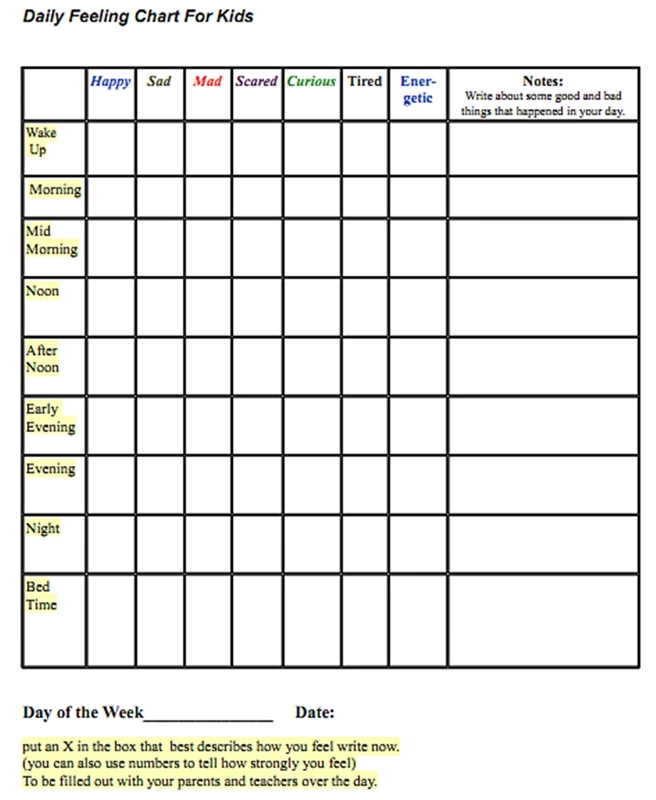 With the K.I.S.S (keep – it- simple-stupid) attitude in mind, a mood chart that can be made to meet any personal symptoms and then taken to to a doctor and therapist. 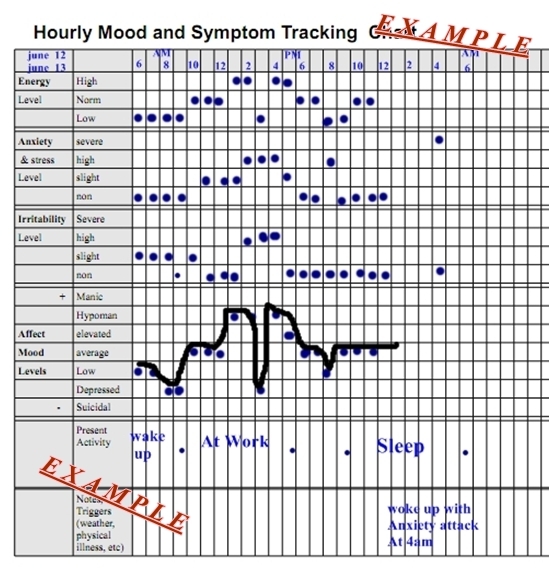 Mood charts can give a consumer and his/her professionals a better idea of the cycling, symptoms and possible triggers of symptoms over a long period of time. 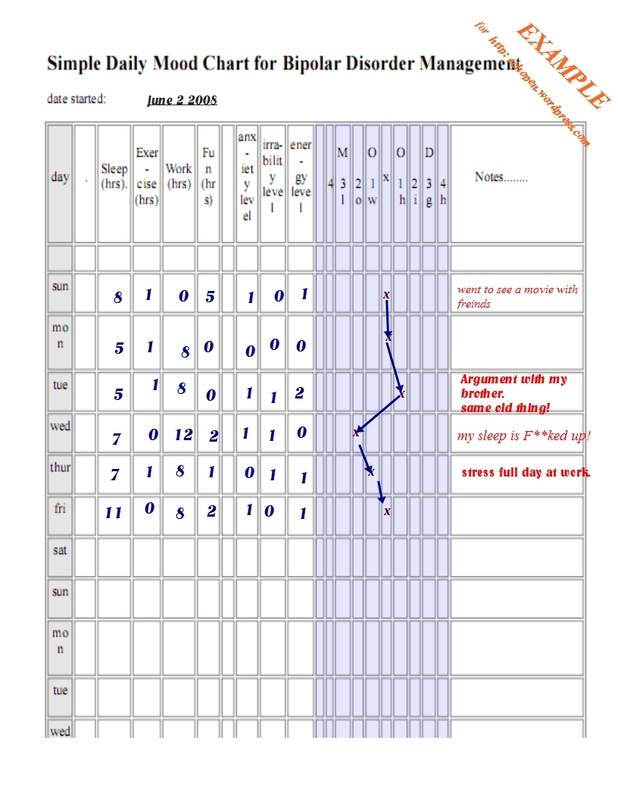 Thus a mood chart is a tool for personal awareness and an aid for a doctor who is prescribing treatment. 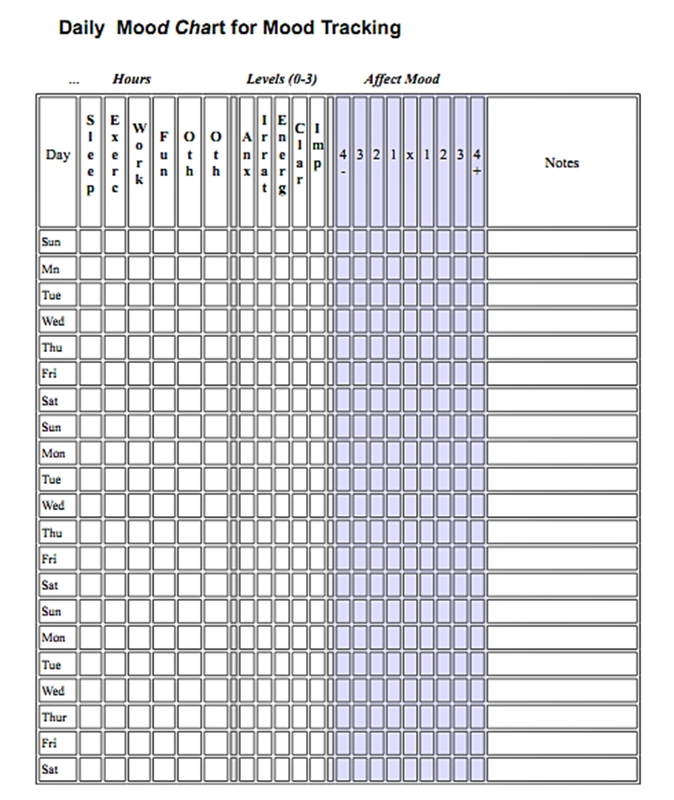 That post includes an example of how to fill out a mood chart and a free down loadable simple mood chart in PDF format. I now have an update of that Mood tracking chart available in ‘.Doc’ format ( readable in in MS Word) and in Open Office Writer format. Also Available in those formats is the Daily Emotions Chart for Special Needs Children, previously posted in PDF form with explanation. There are more Downloads on the Charts page.